Raid Action Batalion says "they are terrorist". 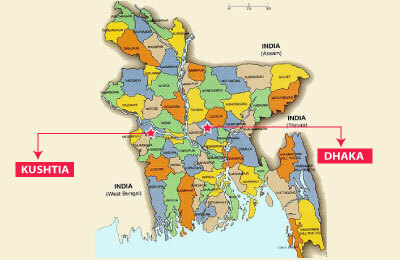 Daily Star, reports four alleged criminals, including an outlaw, were killed in three separate ‘shootouts’ between their cohorts and law enforcers in Dhaka and Kushtia early Wednesday. Rahat, Suman, and Alauddin, were killed in Dhaka while Jibon, a cadre of outlawed Gono Mukti Fouz (GMF), in Kushtia.